Luokan is an isolated village. With few jobs, most here get by on low-paying work in surrounding counties. The closest airport is in the equally impoverished city of Zhaotong. From there, it takes a six-hour drive through treacherous mountains followed by an hour-and-a-half hike up a single-lane dirt road to get here. The road has been heavily monitored of late by local police, ever since they killed Fang Jiushu on May 15. The shooting occurred in the town square in front of hundreds of witnesses on the busiest market day of the week, according to villagers. Yet few today are willing to even say Fang’s name in public. Several Luokan residents — approached by a foreign journalist who had snuck into their village under the cover of night a few weeks after the shooting — refused to talk. Fang’s friends and relatives were similarly reluctant, believing their phones to be tapped and their houses watched by informants. 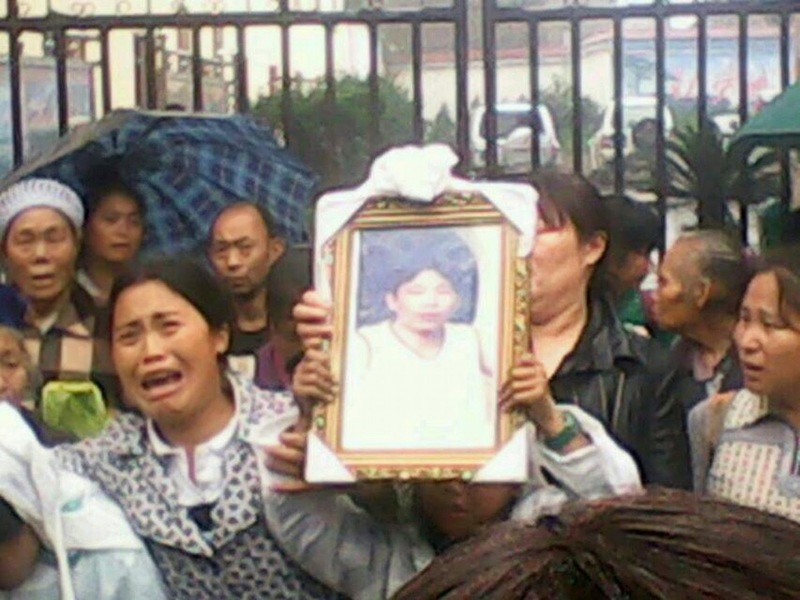 Since Fang’s death, they said, government officials have visited many homes, warning all not to talk to outsiders. But over the course of a night in secret interviews inside their homes, more than a dozen villagers gave their account of the shooting. And their testimonies, coupled with cellphone pictures they provided of the shooting, contradict many aspects of the government account.